Mitra Shahri is the Founding partner of the Employment Law Firm of Mitra Law Group. 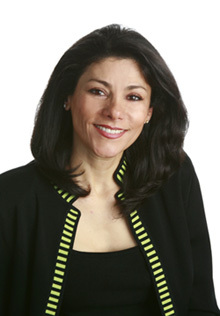 Mitra received her Juris Doctorate degree in 1993 from the University of Utah in Salt Lake City, where she graduated with top honors and was designated a William H. Leary Scholar. While there, she also earned membership for academic achievement in the Order of the Coif, served as Associate Editor of the Utah Law Review and was a member of the Utah Moot Court. Mitra obtained her undergraduate degree with honors from Wichita State University in Kansas, where she also played point guard for the Wichita State Women's Basketball team (Shockers). Mitra began her legal practice in 1993 in Los Angeles at a prestigious defense firm where she received invaluable training and experience in handling sexual harassment and retaliation matters. In 1995, she founded a boutique employment law firm in Los Angeles, California, where she exclusively represented employees in employment related matters with special emphasis on Whistleblowing and Sexual Harassment claims against Hollywood celebrities, major motion pictures and movie studios. In 1998, the Los Angeles Legal Journal praised her unique and innovating litigation style against 20th Century Fox, compared her with the top three most successful plaintiff's attorneys in California and branded her a "literary lion." Mitra moved to Portland, Oregon, in 2002 and became an active member of the Oregon State Bar. Since then, she has also become a prominent and respected member of the legal community in Oregon. Mitra has litigated over one thousand employment cases in Oregon and California, including cases that have received national and even worldwide publicity. Mitra has been featured in a number of local and national newspapers. She has also been recognized by Oregon Trial Lawyers Association, the Oregon State Bar and American Bar Association for her tenacity in fighting against sexual harassment. Mitra has developed a reputation for "making causes out of cases" and challenging the existing legal norms. She is well known for being a tough and passionate advocate for her clients who have been sexually harassed or wrongfully terminated for reporting their employers' wrongdoing. American Bar Association recently recognized Mitra as one of the most fascinating lawyers of 2018. Mitra is licensed to practice in all state and federal courts in the State of Oregon and California, as well as the federal courts in the Ninth Circuit. Mitra continues to serve the legal community by offering Pro Bono services to the needy and has served on the Multnomah County Bar Association Judicial Screening committee. She has also participated as an officer and an executive board member serving on a number of other committees such as, Oregon State Bar's Education Committee, Oregon State Bar's Labor & Employment Committee, Oregon Trial Lawyers Association's Labor & Employment Committee, and Beverly Hills Bar Association's Resolution Committee. Mitra is also a volunteer sitting judge for the Classroom Law Project and mentors high school and college students as well as young lawyers who have shown an interest in having careers in the employment law field. Mitra is an author and a motivational key note speaker for Women’s rights, employees’ rights and Continuing Legal Education of Oregon employment lawyers. Mitra is a proud member of National Speakers Association and her hobby is writing legal humor and performing stand-up comedy. She has participated in several charity fundraisers, including the 2004, 2011, 2013, 2015 and 2017 Campaign for Equal Justice LAF-OFF Comedy competitions where she has helped in raising hundreds of thousands of dollars for Legal Aid, while earning the title of the Funniest Lawyer in Oregon.